Pepper plants are among the productive plants you can find in most gardens. If you want a better harvest, you need to know the right time to prune them and how to prune pepper plants the right way. How do you patch up a gangly pepper plant for a better and bushier harvest? When to top pepper plants for an increased productivity? Peppers have bold skin as well as a spicy, strong flavor, which are perfect for adding zest and color to any meals. Similar to other types of flowers, pruning pepper plants is highly possible and simple as a way of keeping them healthy and strong. But First, Do You Know How To Grow Pepper Plants? Are Topping Bell Pepper Plants Essential? How to Prune Pepper Plants? 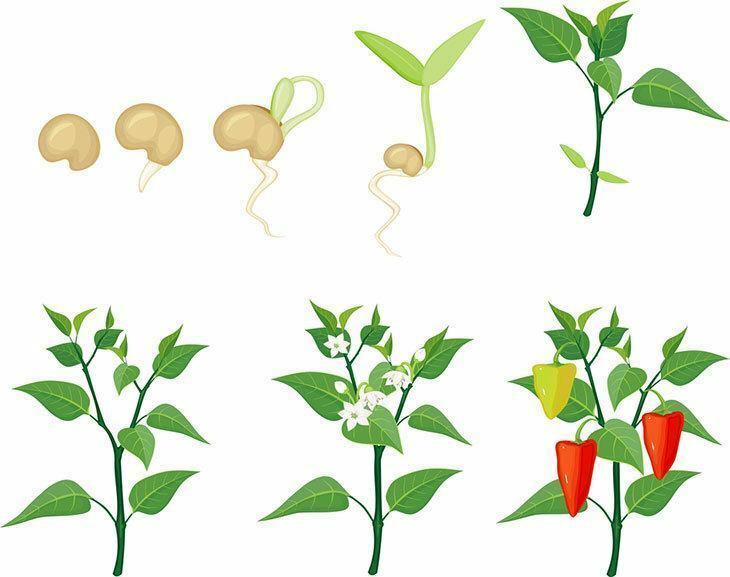 Before we continue to the right methods of pruning pepper plants, don’t you think it is essential to at least have an overview on how you could grow pepper plants in your garden? I would love to provide you some tips on how to do so. Set the seedlings of the pepper out after the latest spring frost. They would grow well in containers, raised beds, or in-ground gardens. You have to plant them at least 18 to 24 inches away from each other in a well-drained and a sunny spot. They need at least six to eight hours of sunlight a day. Mix a compost or other organic matter into the soil once planting. After planting, you should water the plant immediately. And water it regularly within the season. Combine a continuous-release fertilizer into the soil and feed the plants using liquid plant food every two weeks. Spread mulch around the pepper plants for the soil to be moist and cool. Support every pepper plant with a small tomato cage or a stake to bear the weight of the fruit. And finally, harvest the peppers with a knife or shears and store in the fridge. Pick all the peppers before the first fall frost arrives. Various reasons are presented as to why pruning peppers may be needed. One of them is helping the plants develop sturdier stems. On the other hand, homeowners want to make or force a bushier pepper plant with more side shoots. This eventually results in more flowers and possibly, more peppers. Aside from these, topping off or pruning plants helps handle high wind seasons and greater support heavy pepper crops. With a stronger stem, your pepper plants can experience less breaking. When we say pruning, it is merely removing diseased or unwanted leaves to allow light in the core of the plant. Easy as what you think! Eventually, you'll begin seeing the node's branch. When doing it, ensure to leave a little foliage at the middle for photosynthesis. By producing more nods from pruning, more flowers will be produced - which is results in more pods. There are basically two kinds of pruning pepper plants - early season and late season pepper plant pruning. Before the pepper plant produces fruits, it is believed that topping it off during early season helps increase harvest. According to a study, pruning peppers at the start of the season helps improve the fruit's quality. Thus, it is suggested to prune your plants early in the season to produce bigger, healthier fruits. How to do the pruning process? First, make sure your plant is a foot tall so you can see the sturdiest branches on your plant. Next, trim the smaller branches. Include the suckers (branches that grow from the crook in which two other branches create a "Y" form) you will see as well. Avoid damaging the main "Y" of your pepper plant because this serves as the spine of your plant. When gets damaged, poor performance can be expected. Why pruning pepper plants during late season is a good idea? Mainly because it helps to mature the fruit quickly. Thanks to the energy of the plant that focuses on the remaining fruit. Now, how to prune pepper plants for maximum yield in late season? The process is just easy! All you need to do is cut off all of the branches on your plant (exclude the branches with fruits that can likely mature before the season ends). Gently shear off the flowers and other fruits from the whole plant. By pruning your plants this way, the remaining energy will be forced inside the plant to the remaining fruit. So, ready to produce more flowers and more pods? Here, we provide a simple guide to pruning and topping your plants. It is an easy and effective way to get the pepper plants to bush out and make more pods. Now, chopping the plants don’t need to be a scary or nervous task. Here's how to get started. 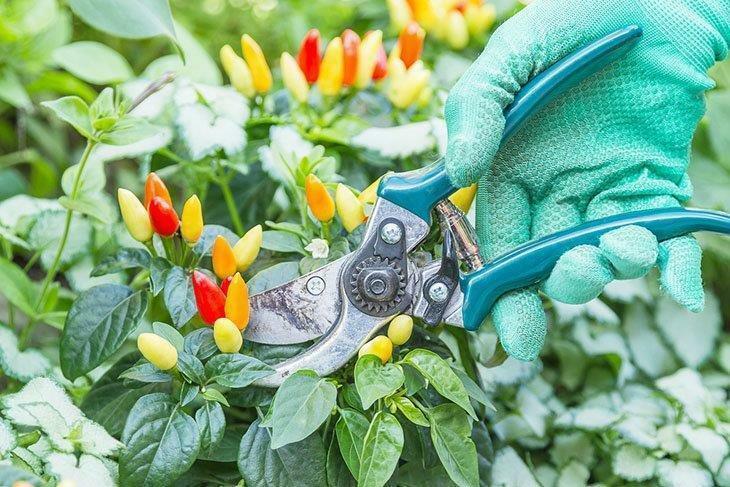 Before pruning, there are essential things to carry with you, such basic items as pruning shears, scissors or hand pruners (depending on the thickness of the main stem), compost or fertilizer and shovel. Step 1: Determine the location of the main set of leaves. Usually, you can find it approximately an inch down from the upper bushing part. Prune right above them. Step 2: Suppress the leaves in a gentle manner below where you are trimming. This is to avoid cutting off the plants. Also, ensure not to break the plants off by chance. In order for your plants to give enough amount of energy for bushier growth, leave at least four or five leaves. Step 3: Now, you are ready to clip the stem. After clipping the tops off of your plants, you can expect for a bunch of lovely pepper leaves as well as naked pepper plants. In just a matter of days, you can notice an excellent result. There are other ways for pruning pepper plants that you can try. 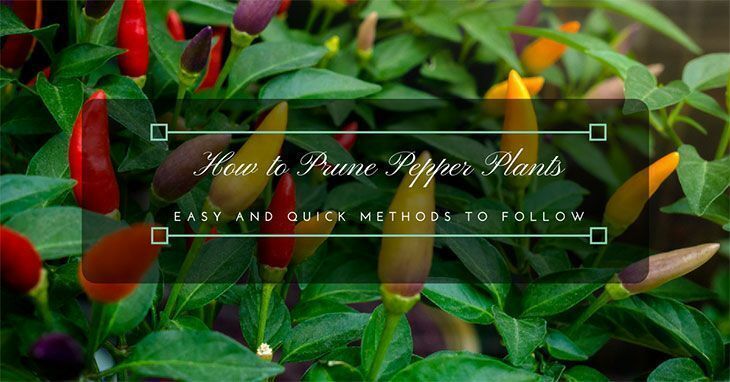 Read Pruning Pepper Plants. So, here's how. Step 1: Remove unwanted or diseased leaves, peppers, and branches any time of the day throughout the growing period. Do not wait to take dead materials out; otherwise, it will spread a fungus, virus or bacteria to the rest of your pepper plants. Step 2: Gently wash your hands after cutting a dead plant. Soak your trimming equipment in a cleaning solution. Step 3: Prune all the top branches that do not have peppers and flowers on the plant as well. Do this around six weeks before the initial frost date of your area. 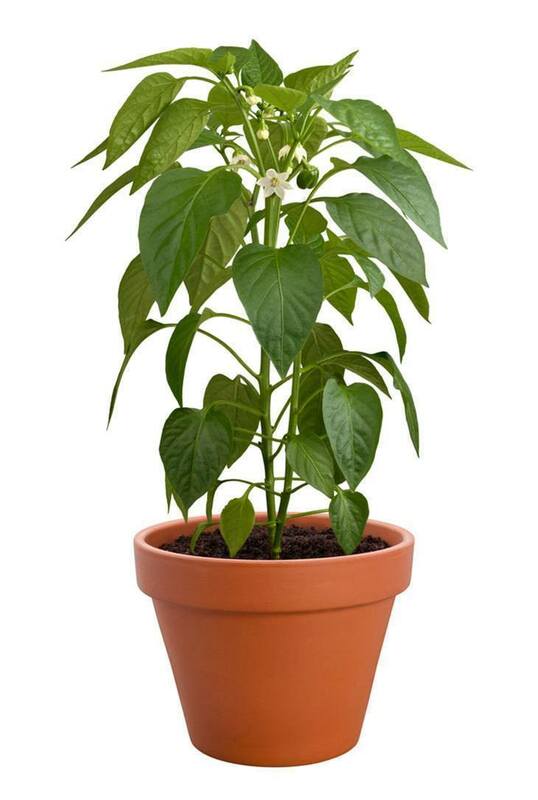 This will enable your plant to focus the energy it has in becoming the remaining peppers fully grown. Step 4: After you remove non-producing branches and flowers, give your plants side dress use of fertilizer. Spread two or three tablespoons of balanced fertilizer. Or if you want, spread a handful of compost in the trench. Step 5: If you are growing the pepper plant as a perennial, you can notice a new growth that will appear especially during the spring. As soon as you see this growth, it is recommended to cut the leaves and branches off that had already died over the winter. When any of these pruning pepper plants for winter or another season done properly and accurately, rich harvest can be expected in just a small amount of period. This is one of the important decisions you need to make. Must it be only a little, or must you go to far-reaching? You may try going far-reaching or on the radical side. It may look sad on your part, but when done properly, stronger and healthier pods can be produced. Such a good experiment you can try! Additional points can also be provided for developing fruits. So, if you are aiming for a productive yield of your pepper plant, now is the best time to prune them with the methods you think will best suit to your beautiful plants. Any of these can guarantee best results. Seeking professional help is also a good idea to secure your investment. Pruning is not actually necessary for pepper plants. However, if you notice your plants are getting leggy, you may consider this method especially if you want to turn them into stronger and bushier plants. Like this article? Share us what you have in mind by leaving a comment below. Don't forget to share this post with your friends, too! After trying this method, let us know your results. Good luck and wishing you a productive growing year!